5.27: After five overs, India were shaken early after KL Rahul’s departure but now there is a certain sense of calmness in the batsmen. Live Cricket Updates AUS vs IND, 4th Test Sydney:5.27: After five overs, India were shaken early after KL Rahul’s departure but now there is a certain sense of calmness in the batsmen. 04.35: India has won the toss and chosen to bat first at the Sydney Cricket Ground in the fourth test. 04.20 IST: Hello and Welcome to our live coverage of the fourth and final Test between Australia and India from the iconic Sydney Cricket Ground, Sydney. 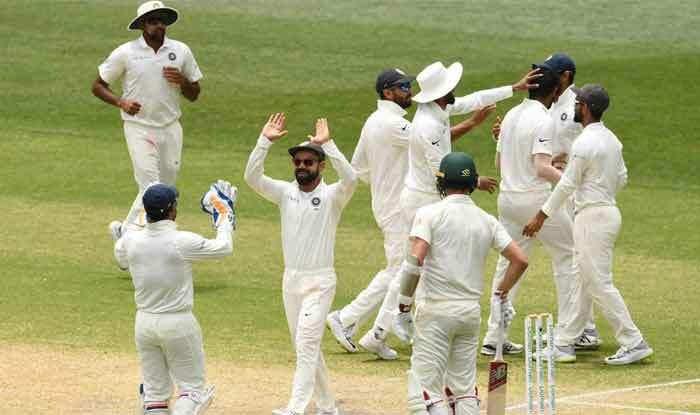 India’s loss in the second Test in Perth seems like an anomaly given the way they have won in Adelaide and Melbourne, the last one coming in an emphatic fashion, by 137 runs, and it only affirmed India’s aim to go for the series in Sydney. Still, with the batting core of captain Virat Kohli, Cheteshwar Pujara and Ajinkya Rahane intact and the bowling group led by Jasprit Bumrah, the Player of the Match in Melbourne, India remain a potent threat.